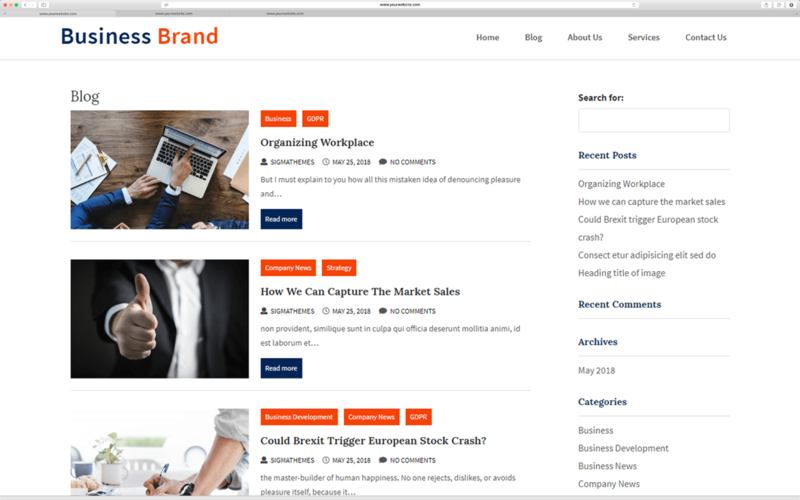 Business Brand is an impressive and professional WordPress theme suitable for Business News, Latest Blog etc any type of Business website. 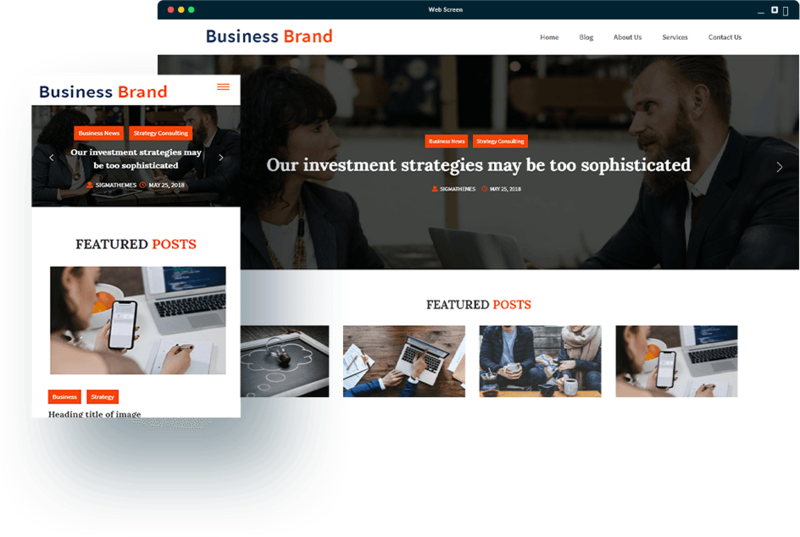 Business Brand is mobile responsive WordPress theme and hence websites developed using this theme look professional on all type of devices. Business Brand is translation ready so it can be used for any LTR language website. It is based on SiteOrigin page builder and almost any type of page layout is easily possible. 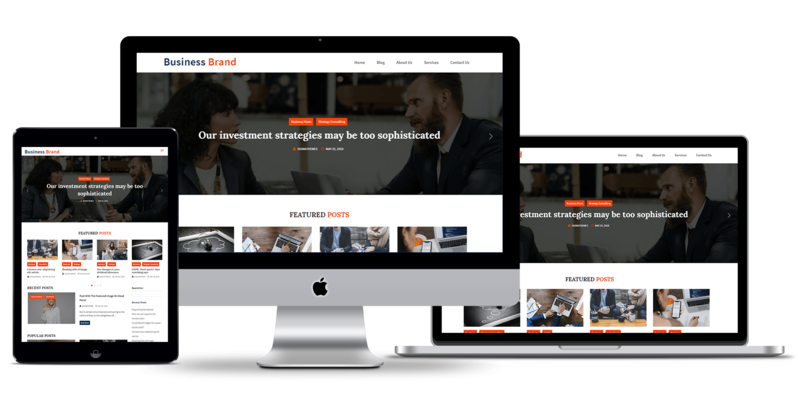 Business Brand WP Theme is a fully mobile responsive hence your website will look awesome in all types of screen sizes. Business Brand has options to set your General Settings like logo and favicon, Homepage, Color Control, Integration, Layout Editor, Typography etc. 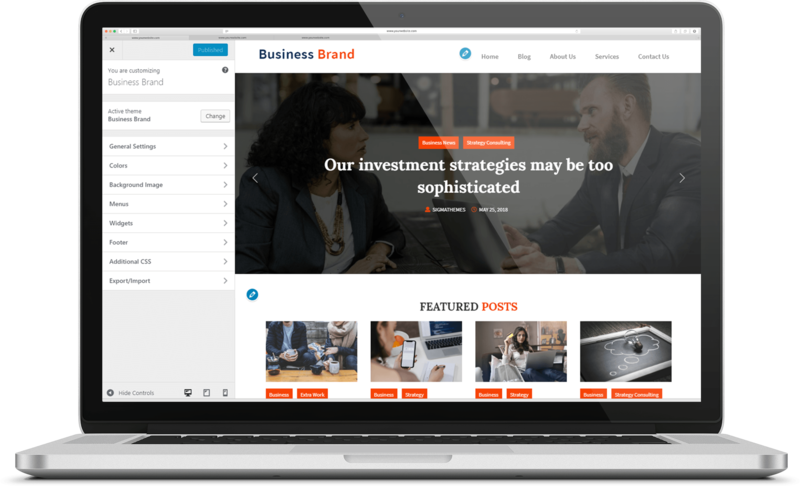 Business Brand theme is optimized for fastest loading. Your Website will load faster and this will lead to low bounce rate and happy visitors. Business Brand is optimized for fastest loading. Your Website will load faster and this will lead to low bounce rate and happy visitors. You can translate your website into your local language, or any language you want. You Can Import Theme Dummy Content From Our Theme Documentation Link and change it to yours later to avoid manual setup of pages. Business Brand is compatible with Google Chrome, Mozilla Firefox, Safari etc. Business Brand is fully mobile responsive hence your website will look awesome in all types of screen sizes. At SigmaThemes we develop easy to use, mobile responsive, SEO optimized Free and Pro WordPress themes. All our themes are GPL3 Licensed.